Got an e-mail from Jim Christy the other day after he read your blog bit on me. Then I got the attached photo from Oraf which references said blog bit. So I thought I'd drop a line. All is well here, family life good hope you are well. All I can add to the above is a photograph of the very path I mention in my blog on Christy. The one that answered to Christy's question on what to do with a path that had two possible routes to take. 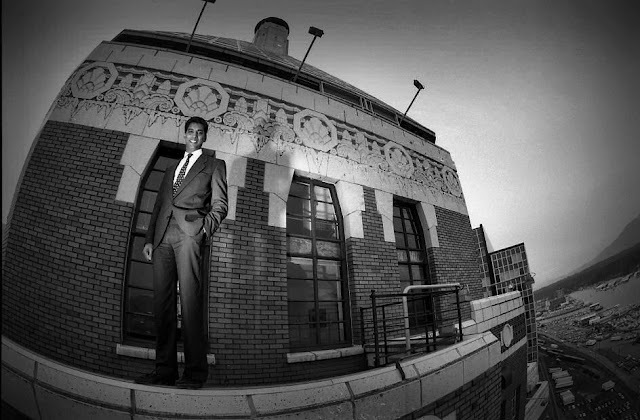 The second picture here is by the tallest local photographer (and very artistic and art critic at that!) , Oraf. Addendum: Your iphone photo reminds me of the old Yogi Berra chestnut: When you come to a fork in the road- take it! The Liebig's Extract of Meat Company (Lemco) was the originator of Liebig and Oxo meat extracts and later Oxo beef stock cubes. It was named after Baron Justus von Liebig, the German 19th-century organic chemist who founded it. In 1965 while in the Argentine Navy I met a wonderful Uruguayan born girl of English parentage who lived in Buenos Aires. I met her on the day she was sick in bed with a cold. She asked to read my hand. She told me all kinds of truths about me. I sort of fell for her but in the end it was her persistence and lack of shyness that won me over. She invited me for a weekend to go to her brother-in-law’s ranch near Liebig in the Province of Entre Ríos. At the time I did not own much of my life as I was a conscript. How was I to get a weekend pass? I went to my immediate superior, an Argentine Marine Corps corporal, called Moraña. I asked him for a three day pass. I told him I had the possibility of “scoring” with a Brit girl who was crazy about me. He smiled at me and told me that I would get my three days on the condition that at my return I tell him the whole adventure in a luxury of detail. I agreed. Corinne’s (that was her name) brother-in-law was the pilot of his own plane. In it we flew and landed in a flat and dusty pampa with nothing to the horizon. We were met by an ancient black Packard that drove us to a low hill surrounded by a wrought iron fence. At the gate there was a huge Great Dane. As I was shown to my room Corinne told me that before dinner we would go riding. Fortunately I had planned for this sort of thing and I had gone to the venerable Argentine purveyors of boots and shoes, Lopez Taibo on Avenida Corrientes. I had spotted a beautiful pair of brown leather boots in the window and I had lusted over them for months. This was a situation where I had an excuse to buy them. I entered in my summer whites and asked a man to show me the boots. He looked me up and down and knew that as a conscript I probably had no money to even be able to buy a basic lunch of steak and a glass of wine. He obsequiously asked me, “Are you sure you are in the right store?” I pulled a crisp American 100 Dollar bill and stretched it in front of him. He turned and brought the boots. He measured my feet and asked for my name, address, etc. The boots were beautiful and fit me comfortably. An Argentine saddle consists of several layers of sheepskin strapped on to the horse with a cinch that includes stirrups. Corinne and I rode for a while and I noticed that my cinch was loose. The horse did, too. It stopped suddenly and I as I attempted to keep my balance with the shifting “saddle” the horse threw me over and then proceeded to kick me. I had seen enough Westerns in my life so I knew to cover my face and roll away. But not before the horse stepped on my boots (they did not give way) and I received a glancing blow in my eye. I had an instant and extremely painful black eye. Corinne felt very sorry for me. She tied a hammock to the estancia house veranda and told me to get in. I was offered cold white wine and I must say that I had never been so wooed in my life! I am not all that sure that Cabo Moraña believed me when he saw my black eye and I told him my story. Around 1990 I returned to Buenos Aires. 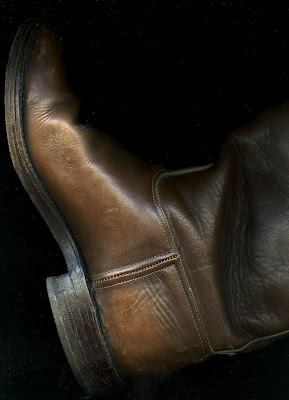 By then my Argentine boots had been so worn I had to throw them away. As soon as I could I visited the store on Avenida Corrientes. It was much smaller now but the venerable aspect seemed intact. I could not believe that the very man who had sold me my original boots said, “Buen día, señor. ¿Que se le ofrece?” I gave him my name and he disappeared inside. He came back out with my measurements. I obtained the exact same pair of boots I had purchased before. This second pair I have not worn a lot. For one I don’t want to ruin them in the Vancouver rain. For another, the shafts are slim and I have a terrible time getting my feet in and an even a more terrible time taking them off. Soon, in a few weeks we (Rosemary, Rebecca, Lauren and I ) will be driving to Texas to Michael East’s Santa Fe Ranch in south Texas. 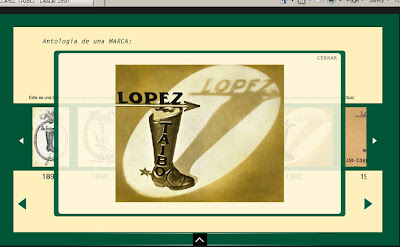 I plan to wear my Lopez Taibo boots. I wore them today after stretching the shafts with my fists. I walked around the block and they seemed comfortable. I told Rosemary that she might experience a bit of Texas lore before we even leave for Texas, “I just might not be able to take them off, so tonight you might have to sleep with a man who has his boots on! And they are not just ordinary boots, they are Lopez Taibo boots. In today's Vancouver Sun I read a section in Malcolm Parry's Trade Talk that sent my flying to my photo files. 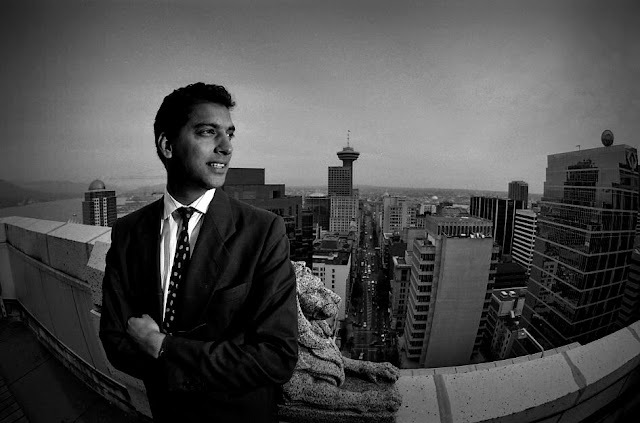 I think I may have a rather unusual photograph of real estate man Avtar Bains which I took at the top of the Marine Building on Burrard! SIGNING OFF: Real-estate brokerage whiz Avtar Bains will soon hang up his cleats. In a memo to colleagues Tuesday, he wrote: "After 32 great years, I will be leaving Colliers [International] upon completion of my existing commitments, expected by the end of this summer, to spend time with my family and determine my next venture." Bains and wife Monika Deol, the former MuchMusic producer-host, have four children. Bains came to Colliers as a summer-job student, never left, worked 12-hour days, and reportedly grossed $5.5 million last year. He became the go-to guy for pension funds and institutions wishing to dispose of properties, and not only the shopping centres -including Marathon Realty-built, Larco-owned Arbutus Village Square -that were his specialty. No one else in Canada likely matched his institutional relationships, although others will doubtless now try. A few months ago I fell in love with a woman, whose profile (a photograph by David Cooper) I gazed at in the lobby of the Arts Club Theatre Company’s Stanley. It was, perhaps the opening of Tear the Curtain. There I was, staring at Cooper’s beautiful photograph of a woman called Sara-Jeanne Josie who was to play Patsy Cline in a play called A Closer Walk with Patsy Cline by Dean Regan in June. In the picture Josie was wearing a blood red cowgirl dress and her lustrous black hair was pulled back. Her gaze was one of absolute romance. Fearing I might fall into the photograph I glanced to my side. There in profile, a woman dressed in black, very serious, looked at the photograph with a cursory nod of her head and moved on. I followed. The woman was Sara-Jeanne Josie. I followed and by then she was perhaps sensing that I was some would-be creep so I moved on. At the interval I spotted her again. She knew I was looking. I turned and reluctantly went back to my seat. 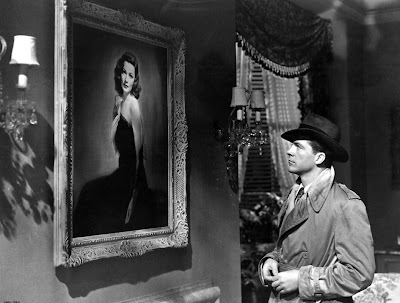 That event for me brought memories of the many times I have watched the film Laura and detective Mark McPherson (played by the dashing in a trench coat Dana Andrews) fall in love with the woman in the portrait of advertising executive Laura Hunt (played by Gene Tierney) while investigating her murder. One evening he falls asleep to find the murdered woman in the living room staring at him. I felt that when I first gazed on the real Sara-Jeanne Josie. As my granddaughter Rebecca and I enjoyed the opening performance of A Closer Walk with Patsy Cline I was hard pressed to find the woman I had fallen for those months ago. On stage Hosie’s presence was electric. It was charming. Her voice was wonderful (Rebecca whispered into my ear many times, “She can really sing!”). She was down home country and made us all in the audience melt. But there was a Hosie that was missing. I tried to put my finger on it and quickly figured it out. In A Closer Walk with Patsy Cline, Hosie sings. You see her teeth. She smiles and you sense her charm. She changes into ever more elegant dresses (kudos to Norma Bowen the costume designer). She is beautiful. But Hosie is never serious or mysterious. 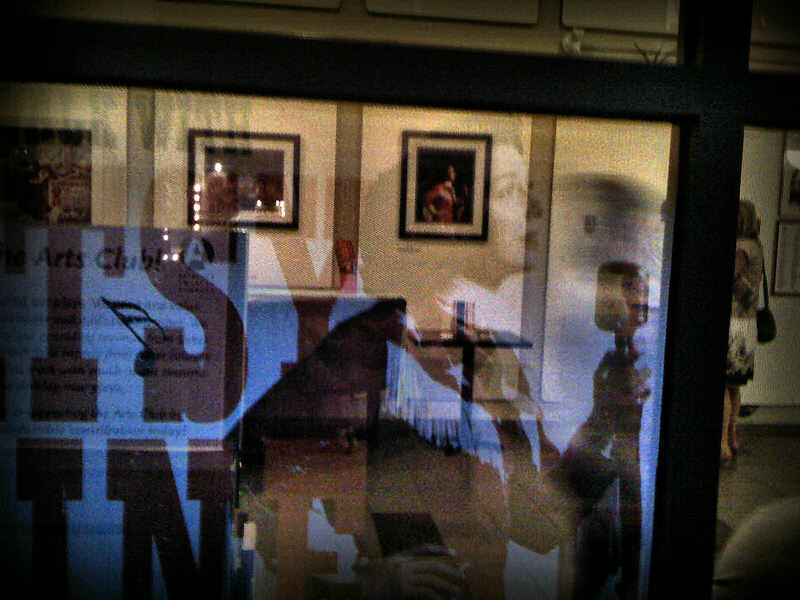 It was that serious and mysterious Hosie that I noticed back at the Stanley. It is a Hosie who is not channeling Patsy Cline. It is Hosie herself, ever more interesting and intriguing, than the country singer I never met or even, to my shame, one I never knew anything about until now. Thank you Arts Club Theatre Company for somehow leaving the best to last. A Closer Walk with Patsy Cline continues until July 30 at the Granville Island Stage. When I first met architect Abraham Rogatnick some 15 years ago he was 70 and he was an old man who walked with a cane. I was a youthful 54 who looked younger than I was. When I was in the presence of Rogatnick I felt I was with an old man. Before he died two years ago, a week before his death, I visited him at the hospital and I read to him Ambrose Bierce’s Parker Adderson Philosopher. It is a jolting story of a Union spy who is captured by the Confederates and is ready to accept his death the next morning. In fact the Confederate officer who befriends him is perplexed at the spy’s fearlessness. When the officer finally understands it all and tells the spy that he is going to have him executed that very day (and not the morning after) the man gets very upset. 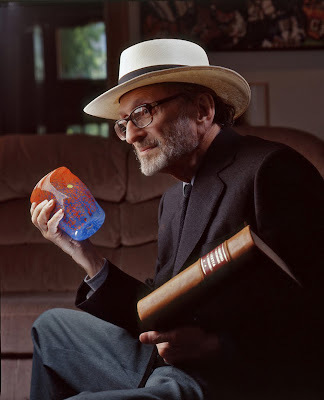 With Rogatnick we discussed how even if we say we are not afraid of death, when death faces us (perhaps at the point of an assailant’s gun) one’s idea of death would be severely modified. 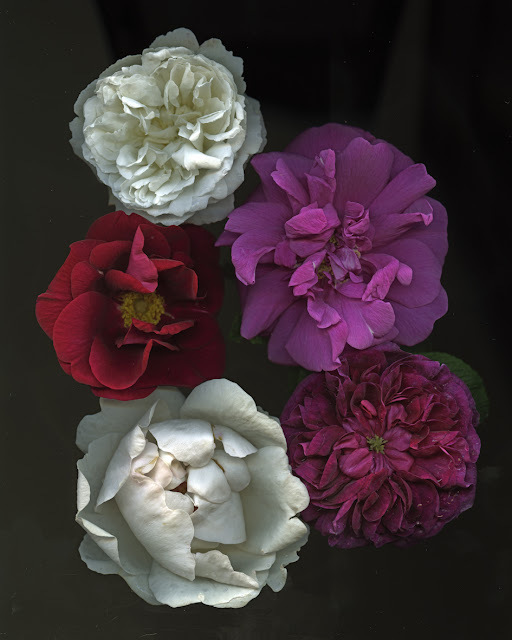 I think about these things as I putter in my garden deadheading roses, stomping on slugs or sitting on our garden bench in the sun with our two cats nearby. Today Rosemary told me she was upset. It seems that our eldest daughter is finally accepting the offer of our lawyer’s bookcase (this one is in our bedroom and it contains gardening books we never use as the internet has made them irrelevant). Ale is going to use the book case (it is made of lovely mahogany) to store her clothes in her own bedroom. In the age of Kindle it seems that finding a good use for irrelevance is a useful thing indeed. Rosemary is depressed perhaps because this is the beginning of our letting go of material things. I made it all worse by saying that I would have to wash the wall behind the bookcase. She took me to task in my lack of interest in painting the room. Rosemary routinely places old sheets on the wooden floors of the living room and the dining room to stop the sun from fading them. My attitude is that in two or three years our home will be plowed over, no matter how pristine the walls and the floors might be. I wonder who is right. But I do know that in a mere 15 years I am now not the youthful man of 54 but I am Abraham Rogatnick himself, even if I may be a poor imitation of the great architect. It is sobering, but somehow also comforting. What Is There To Say About Costco? For me a supermarket has not always been a dreary place like a Safeway were I might buy substandard croissants or pale red tasteless tomatoes. I still have a feeling that I am entering a place of adventure and surprise. The reason for this is that the bulk of my jazz LP collection came from Mexican supermarkets of the late 50s and early 60s. It was at Comercial Mexicana where I bought my first Miles Davis, Miles Davis – Live at Carnegie Hall, Zoot Sims – Choice and most of my Dave Brubeck Quartets including Countdown – Time in Outer Space! In fact it was at Comercial Mexicana or at Aurrerá (another Mexico City supermarket chain), not far from the papayas, chayotes, mangos de Manila, calabacitas and Jugo Maggi that I discovered that legendary jazz record label, Pacific Jazz. Who would have known? Those records, while not all pristine, play quite well on my Sony linear tracking turntable today. It was with that spirit of adventure that Rosemary and I had our first date with a Costco today in Richmond. 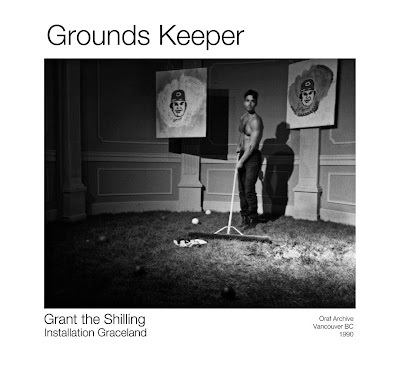 We stood at attention (we were told to smile) against a wall and had our digital mug shots taken and mere seconds later, with membership cards in hand, we entered the huge concrete bunker full of just about everything except, alas anything related to good jazz. 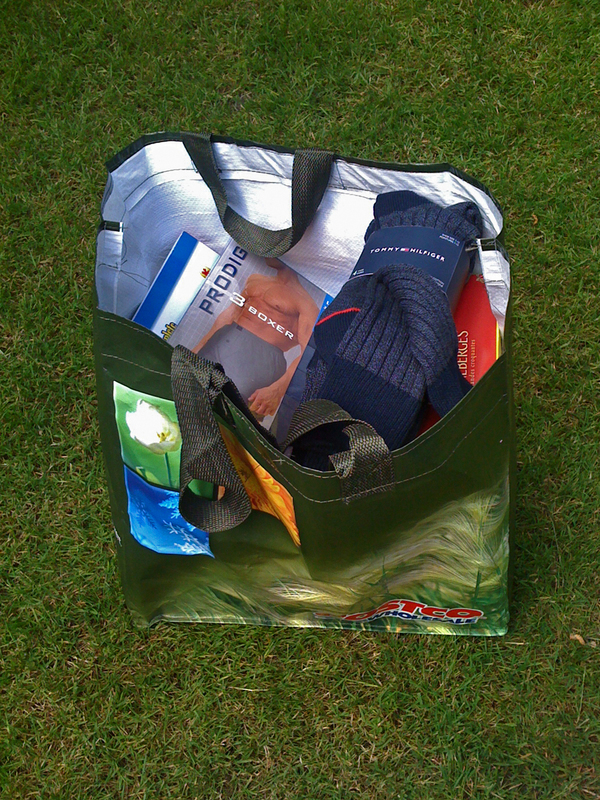 In preparation for a trip south I found four surprisingly economically priced boxer shorts and equally priced Tommy Hilfiger socks in the right combination of cotton and synthetic. A huge bin of books produced a couple of “ultimate workbooks”, one Complete Math Smart 8 to help Rebecca to brush up on her math for next year and another for writing in English for Lauren. Maneuvering around the store was not an easy task. Imagine driving in Richmond on any day and just substitute huge Mercedes SUVs with Richmond residents “driving” shopping carts. What we experienced was unlimited free access to the PNE’s bumper cars! Then there was the food offered by the checkout (a sign clearly indicated, “Shopping carts on the left, people on the right”). Bottomless soft drinks in huge paper cups seemed to be accompanied by large rectangular cardboard trays full of French fries slathered in ketchup. These seemed to be consumed with $1.99 hot dogs. Rosemary and I tried the Starbucks cappuccinos which were not so, as they were lattes, but pretty good nonetheless. As we left, with a smile in our face I told Rosemary, “This food area should be called the Calorie Bar. It was with a tad of nostalgia that I slipped into our Malibu’s CD player, Gerry Mulligan’s What is there to Say? and we quickly crossed the Oak Street Bridge into Vancouver. Link to: What Is There To Say About Costco? My wife Rosemary had one of those plant “clinics” where as a master gardener she sits with a few others of her kind at a garden nursery (in this case The Shop In the Garden at the UBC Botanical Garden) and hands out botanical advice. This took her away for most of the day. In years past I always looked forward to Father’s Day because on that day all of us (Rosemary, my daughters Ale and Hilary and my granddaughters Rebecca and Lauren plus Hilary’s in laws but not her husband who usually works on Sundays) would go to my favourite restaurant, Nando’s on 41st Avenue and East Boulevard in Kerrisdale to indulge in hot South African/Portuguese chicken. It was a special day because we were all together. This year Ale had a difficult weekend in Lillooet of having to finish her report cards and Hilary’s mother-in-law invited her son, wife and granddaughters plus her ex-husband, the grandfather to Father’s Day dinner at her house. That pretty well left me alone at home where I could have felt awfully sorry for myself. But it was not to be. I first saw that wonderful courtroom drama film Rob Reiner’s 1992 A Few Good Men (complete with ads!) with Tom Cruise, Demi Moore, Kiefer Sutherland and Kevin Bacon. The film kept me entertained and interested. Then I went to see what was flowering in the garden. As per every year, Rosa ‘Blanc Double de Coubert’ was the first rose of the season but she was closely followed by another rugosa rose, Rosa ‘Hansa’ given to me by Ale some years ago. This year she opened on the same day as Blanc ‘Double de Coubert’. Another pair of white roses, Rosa ‘Fair Bianca’ (with a fragrance that defies any other to be better, more complex or more memorable!) 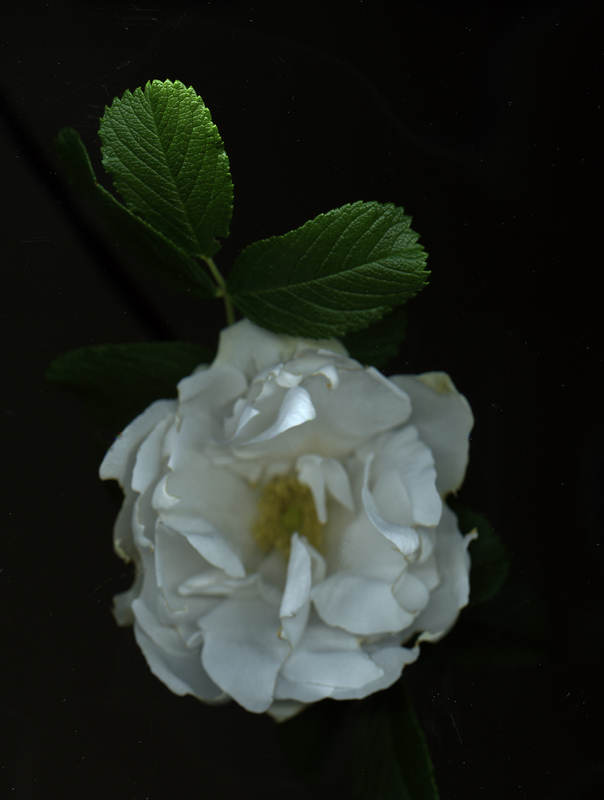 and Rosa ‘Jacqueline du Pré’ were close on their heels. There were three big surprises. One was that marvelous Gallica rose, Rosa ‘Charles de Mills’ was not yet in bloom but one of the many runners (this fantastic plant spreads like no other rose!) was indeed in bloom. Two, Rosemary’s (my ever sophisticated Rosemary) favourite rose the modern Gallica, Rosa ‘James Mason’ sharing the lane garden with Charles de Mills was also out. And lastly a mystery peony that our neighbour Barbara McGillivary grew in her back lane was in glorious bloom and with a very nice scent. Years ago when her husband Jim died she sold her house and moved out. 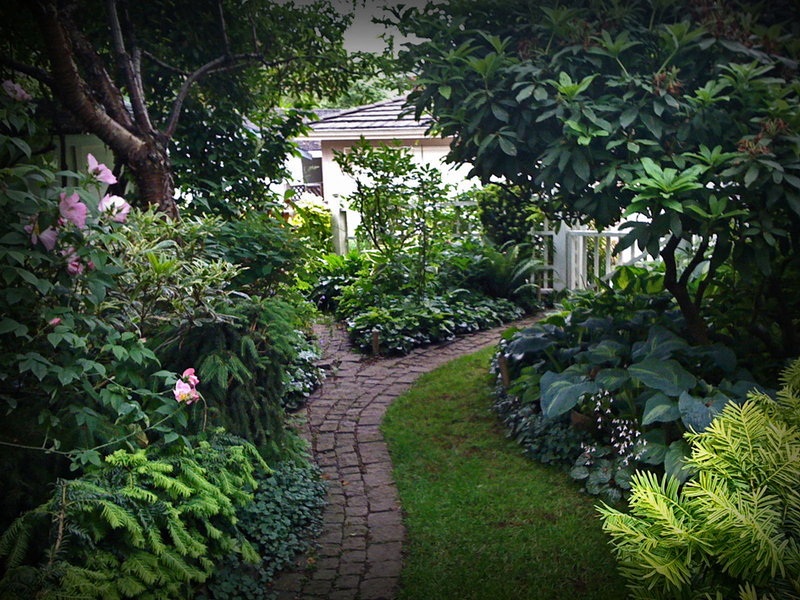 More than a decade of renters have systematically ignored and destroyed her garden. 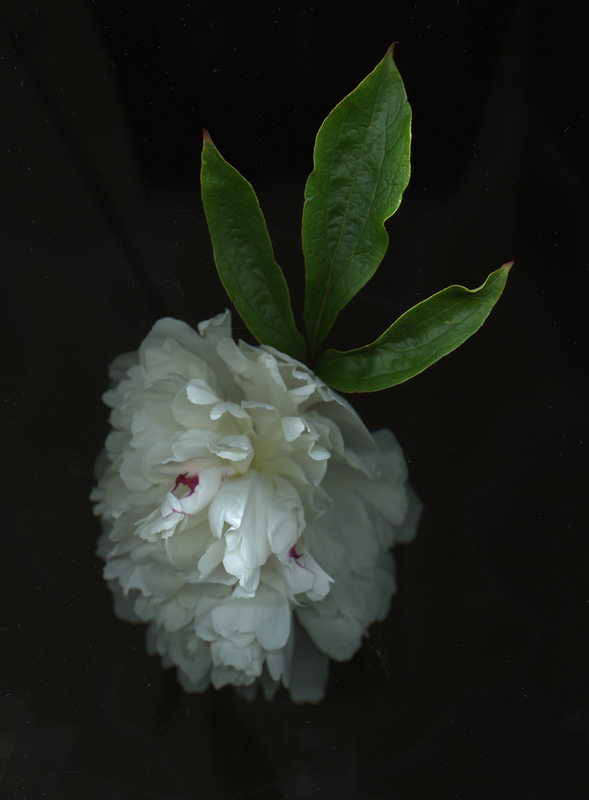 The peonies were abandoned so I decided to save them. I re-planted them in my lane way and never bloomed until this year. It would seem that thanks to Tom Cruise and my flowers I have had a most memorable Father’s Day in good company.